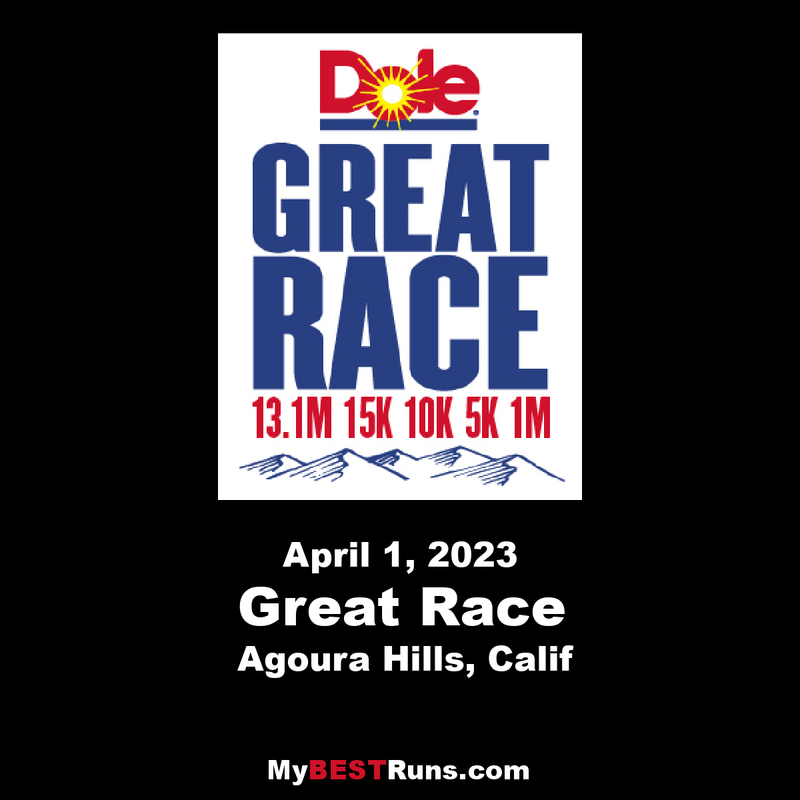 The Dole Great Race is a celebration of running that features six races, including two half-marathons. The incredibly scenic Chesebro Half-Marathon mostly trail race and the gorgeous Pacific Half-Marathon road race. Indeed, there's a race for everyone at the Great Race, where the schedule also includes the Deena Kastor 5K, Old Agoura 10K, Kids 1 Mile run and Camp Kinneret Family Fun Run. Agoura Hills, which is about 30 miles northwest of downtown Los Angeles and less than 10 miles northwest of L.A.'s city limits, is called the Gateway to the Santa Monica Mountains. The great U.S. female runner Deena Kastor grew up in Agoura Hills (she was Deena Drossin then), graduated from Agoura High School and later became the most decorated female long-distance runner in American history, winning the bronze medal in the women's marathon at the 2004 Olympics in Athens. She still holds the U.S. women's records in the marathon (2:19:36), the half-marathon (1:07:34) and at various other road distances. Voted #1 Running Event in L.A.
Great Race participants comment year after year about the gorgeous scenery, the serenity and the most Most Beautiful Courses in Southern California! It's not just a race. It's so much fun, it's the Great Race!